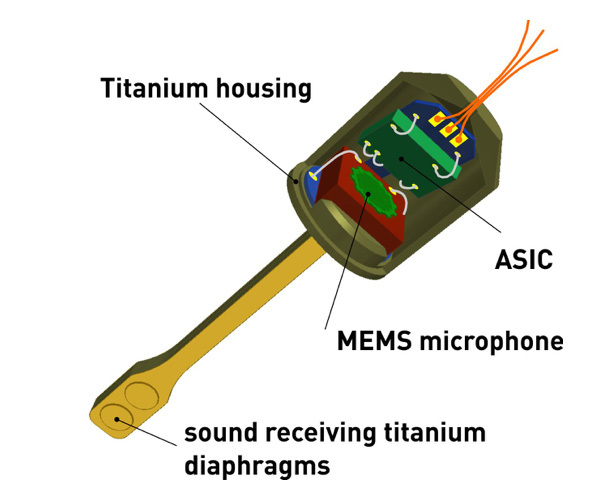 streamwise developed a concept of a miniature hydrophone based on a customized state of the art MEMS condenser microphone that can operate in a liquid environment and fulfils requirements related to size and sensing performance for pressure measurements in the cochlea (inner ear). 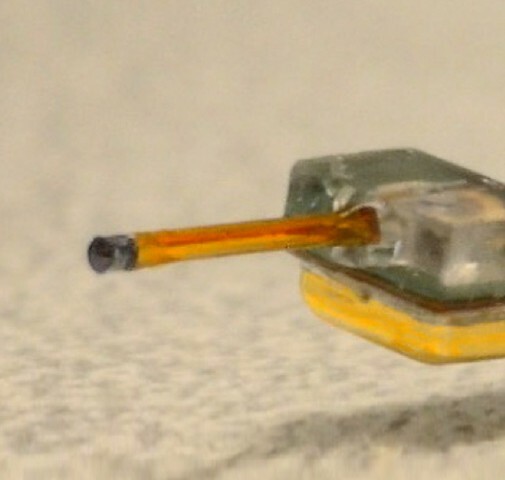 The non-biocompatible MEMS transducer is hermetically sealed in a biocompatible packaging structure. The sound pressure in the cochlea is captured by diaphragms which are integrated into the packaging structure and transferred via an inert gas to the MEMS transducer. The realization of this very complex and challenging device is being conducted in two steps. First, a non-biocompatible prototype that meets the requirements on performance but not on size was built. As a second step, a more advanced prototype which is being used to develop and verify different fabrication technologies (such as the procedure newly developed by streamwise to install the MEMS transducer in a customized titanium housing) is currently under production. The first prototype has been successfully used to perform pressure measurements in the cochlea of human and sheep cadaver specimens. This opens the door to exciting new research possibilities in ear mechanics.